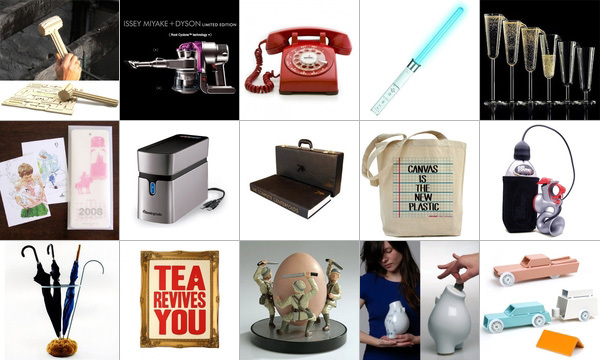 Gift Guide Day 30 and counting down… since it’s Thanksgiving, in addition to food, that means dealing with family, food comas, heinous traveling… so what better than some gifts (gifts for yourself can still count as gifts) to help with relaxing, distracting, amusing, and ultimately survive the holidays! No one can dispute the fact that Brian McCarty is THE best toy photographer these days. His images are legendary, and they are the best portraits of toys you can find… check out some images from his 2008 calendar in collaboration with StrangeCo and MTV. See a preview of all 12 months here… and my favorites are below. Wow. I just got the sweetest email from Claire Sambrook, a senior lecturer of Creative and Cultural Industries at the University of Portsmouth, and i’m not sure why, but i think its refreshing to have someone sharing their student’s work! I’ve had so many conversations recently about how there must be so many great student projects going unshown simply because they don’t know how to market themselves, or are shy and maybe don’t have much of an internet presence. 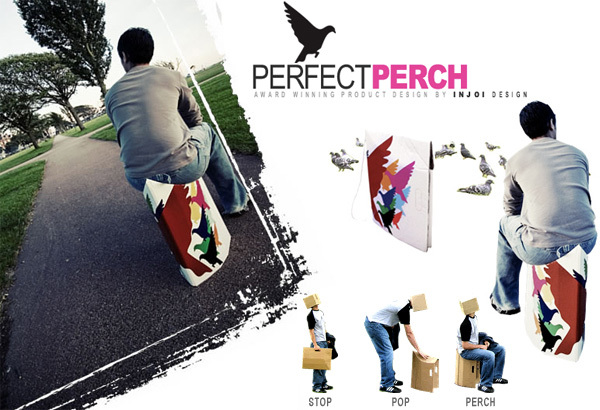 Anyhow, she’s shared this interesting “Perfect Perch” by 22 year old James Chu, a third year student in product design. His goal is to fill a need for “portable, cheap, lightweight and eco-friendly furniture” and he’s thinking ahead already to all of the branding opportunities for these “Somewhere like Goodwood Racecourse could commission 1,000 carrying their name or a sponsor’s message and people could use them at the racecourse and then take them home afterwards. They would make excellent souvenirs.” The chairs have gone into production thanks to Hemingway Design and the South Coast Design Forum. I am apparently easily seduced by the right type… faces. Oh so many bad puns bouncing around my head right now. 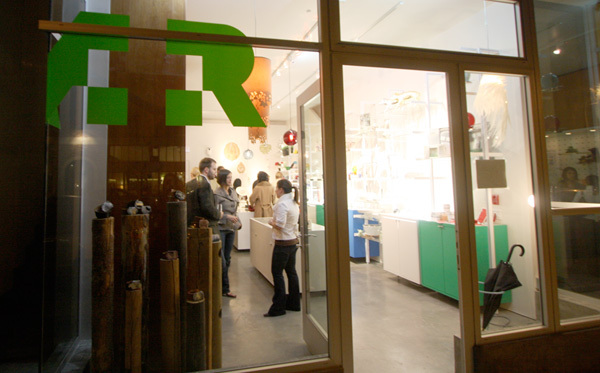 Pushing those aside… latest email from Veer had me drooling over Alejandro Paul’s latest typographic creation: Feel Script. There’s little i can say about it that you can’t experience better by seeing the examples in their slideshow ~ see my favorites below, as well as it’s story. 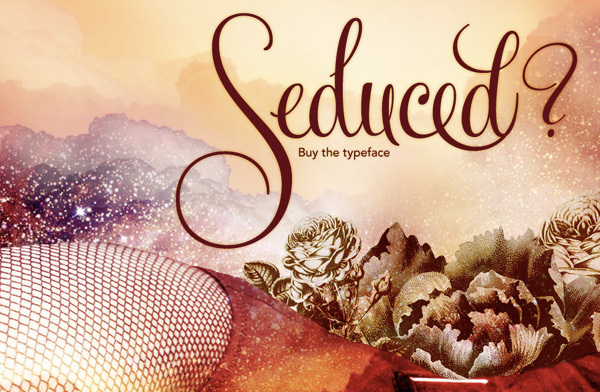 I think he may be one of my favorite font designers these days ~ i’m still smitten with Affair. 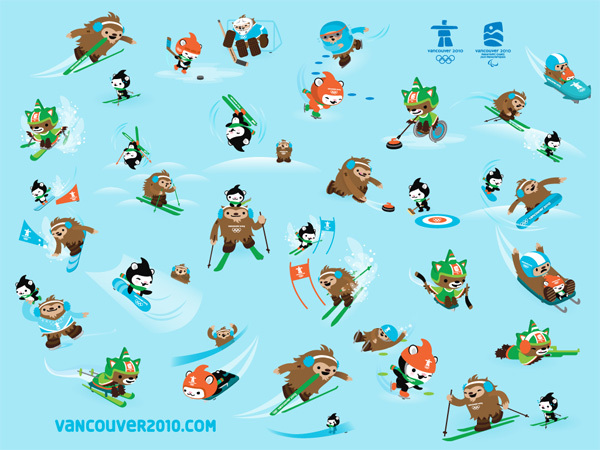 Click the images to see more!A quick catch up for anyone who’s behind on .org… we’ve had some adorable dino hoodies, quite the dare to make an impact, an insanely loud funky looking airhorn, an xkcd romantic fight manifested into a real OS wiping virus/poem, puma and W’s “mongolian bbq” DIY show, a town filled guinness domino chain, an incredibly fun looking couch, lipstick portraits… and then some stories of romantic quests! The guy who drew a sketch looking for a girl he saw on the subway (and he FOUND HER!) and Zack Slow and his buddy letting US choose who they will marry (and give $50,000 to). 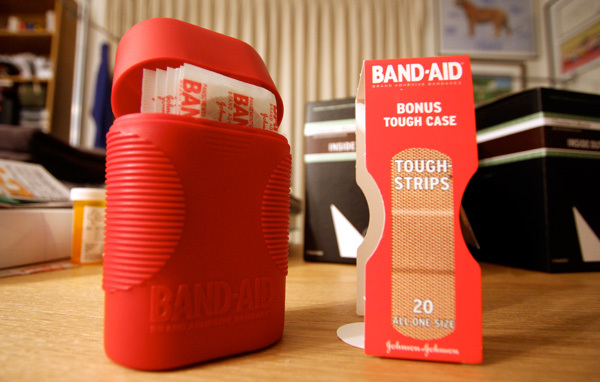 On bizarre places to find design inspiration… this Band-Aid Tough Strips with bonus Tough Case caught my eye. I realized for starters that i really like their font, particularly on the back from reason, and what a great shade of red. Anyhow, it’s really *just* a box of bandaids, but it caught my eye ~ a few more pics of it below. The American Comfort Quilt by NYTO embodies all that a successful brand should be… literally. 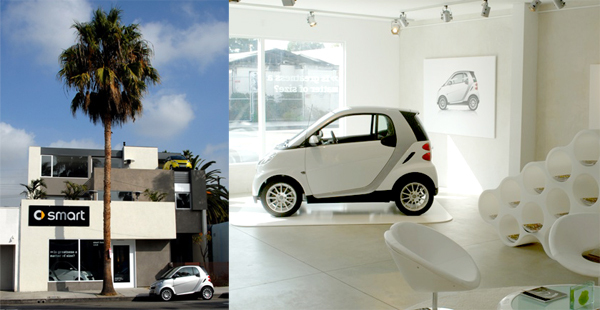 Isn’t the ultimate brand, the one you turn to in times of need? The one that manages to make you feel better in an instant? The things you buy when you just don’t know who else to turn to? I mean sure its a little extreme… but that’s the making of a good lovemark like Coca Cola, right? Well, sure slightly exaggerate perhaps… but you get the idea. 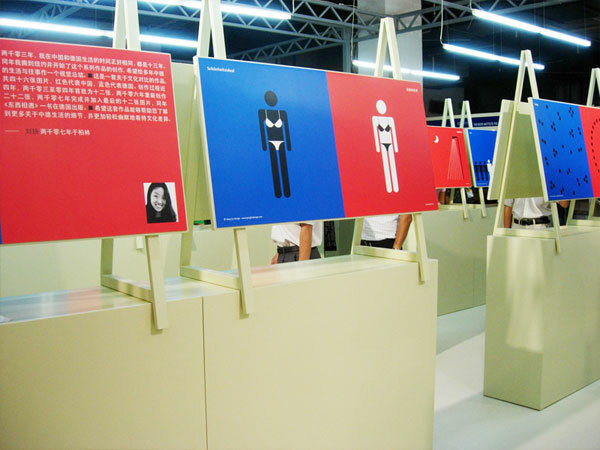 Designed by Joel Yatscoff and Bradley Price, Joel states, “…this is a very topical product that questions the effects of consumerism in North America. 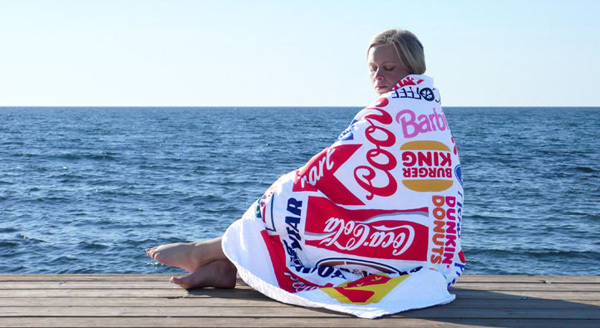 Has this behaviour, and the associations people wish to have with corporate brands so habitual, the American Comfort Quilt is the cherished product to provide warmth and comfort during a chilly evening?” Handmade, limited edition of 5. Love the way they’ve composed these images… more below as well.